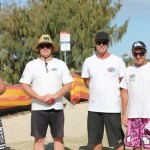 Club round 7 saw a dedicated crew of Kirra members compete in fun 1-3ft surf on mid bank D’bah on Sunday 14th October 2012. 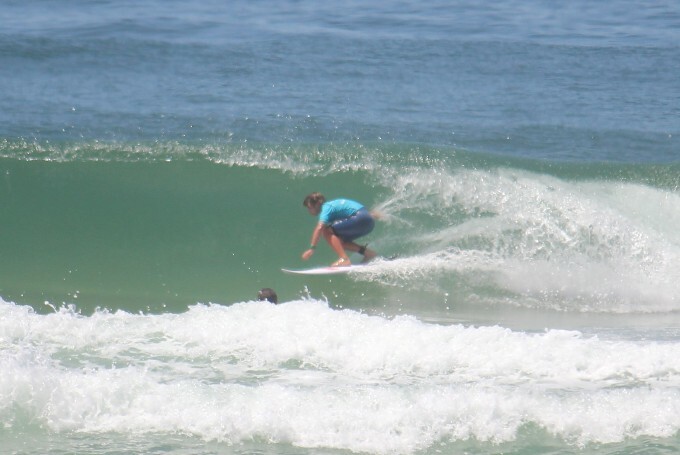 The early high tide and offshore winds saw some nice punchy peaks push through the contest area allowing all competitors in the early rounds of the Cadets and Juniors to show off their talents. First round winners in the Cadet division, progressing straight through to the quarters, included; Blaine, Nathan, Lewis & Max. 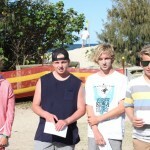 Others progressing straight through with a 2nd place in the first round included Kurt, Dylan, Josh & Jai. The Cadet repacharge saw new 12 y.o. member Seth Johnson winning his heat to progress to the quarters along with Pauly, Blair & Blake who all made the most of their 2nd chance opportunity to also progress. 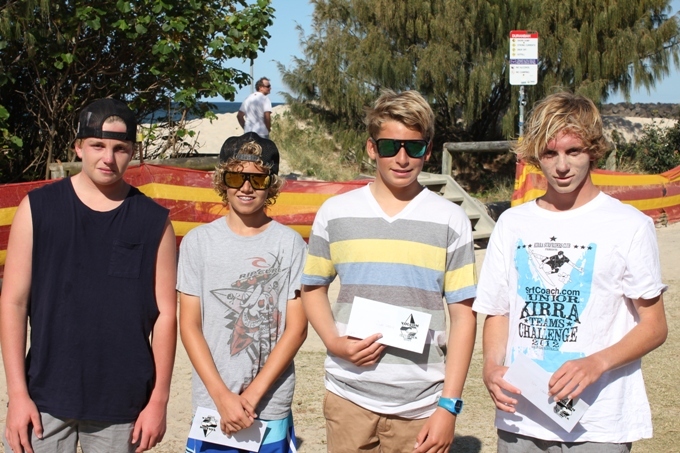 In the Junior division Blaine, Kurt, Nathan & Max all blasted big turns to win their first round heats and progress through to the Junior Semi’s. They were joined in the semi’s by Dylan along with the junior girls; Grace, Audrey & Ashlee who impressed all with their powerful turns in the small conditions. 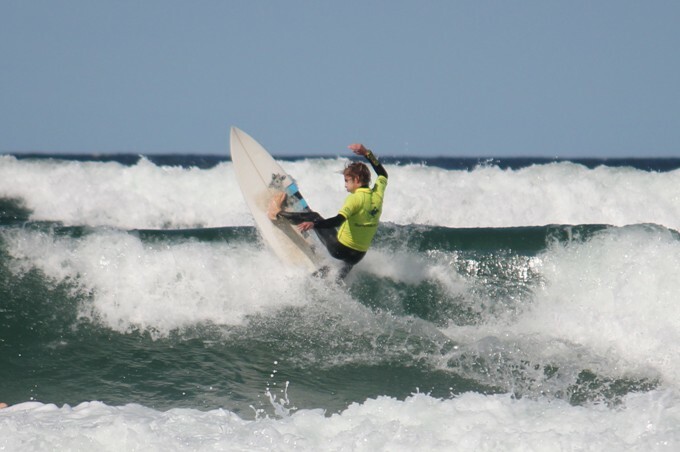 Once again the quarters and semi’s of the Cadets & Juniors saw some close results, with the surfers who were able to link 2 or 3 quick turns together in the lower tide conditions, rewarded with higher wave scores and progressing through to the finals. The experience and fitness of Blaine, Nathan & Max saw them all progress through to the finals of both divisions to be joined by Jai in the Cadets & Ashlee making her first final in the Juniors divisions beating many of the boys along the way. As the tide dropped the bank of choice moved closer to the Southern breakwall which saw some nice sets allow surfers to bang 5 or 6 turns down the line. 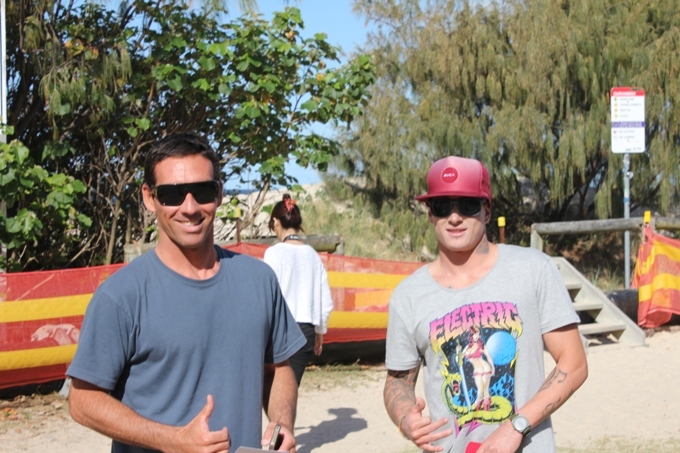 As a result the open finalists did not disappoint and put on a powerful display of exciting surfing led by Andre who once again showed everyone what a world class surfer he is. 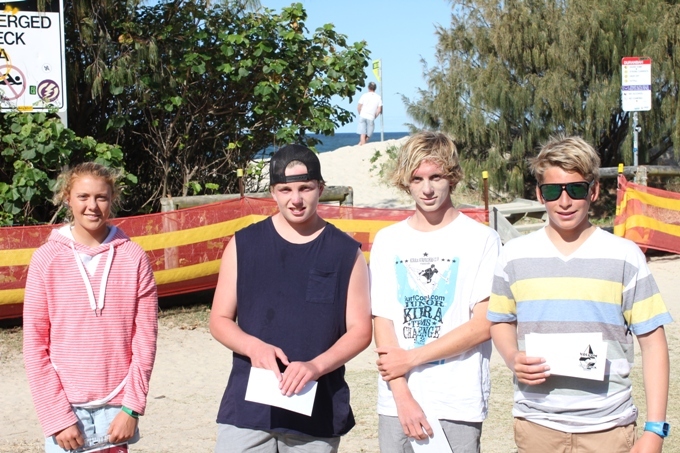 Andre again produced the highest wave scores of the day (including a 9 for one wave) and took the win from Maui who surfed well to place 2nd, followed by Brittani 3rd & Matt H in 4th place. 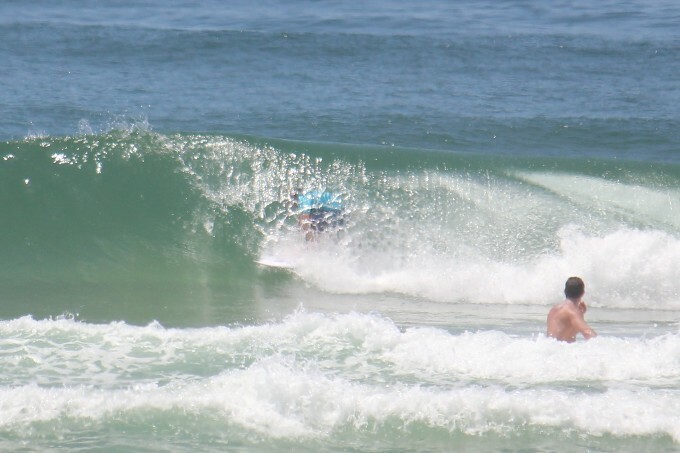 The Open women then hit the water and demonstrated some great skills in the small conditions to push each other to create an exciting heat. The twins even had a tussle in the water with an interference called on one and an injury to the other as she got tangled in her sisters legrope. Gotta love sister rivalry!! 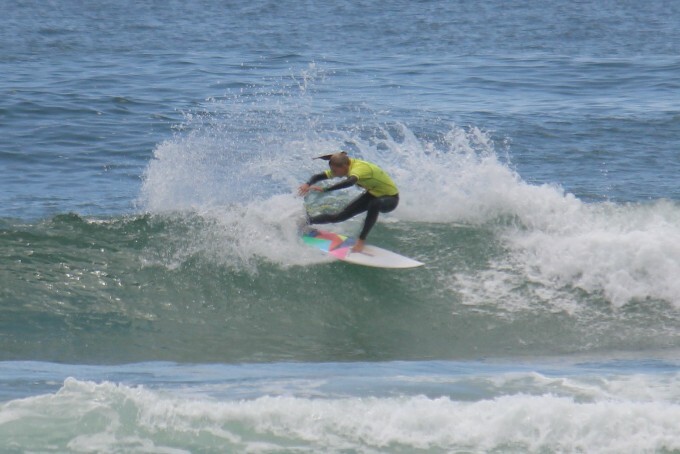 In the end Brittani showed why she is currently ranked 31st on the ASP Women’s World ranking by blasting the tail out on many turns to take a well deserved win. She was followed by Ashlee in 2nd who also showed she can throw the fins around, followed by Grace 3rd & Audrey 4th. 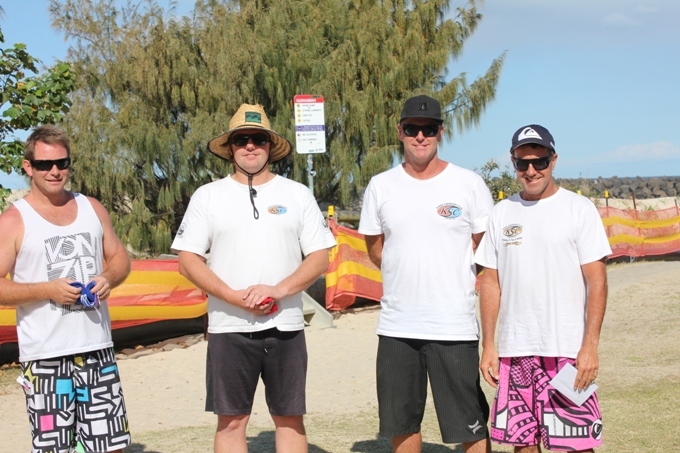 After judging and helping out all day the Masters then had their turn for a quick surf with Paul putting on a dominant display in the deteriorating conditions to take the win from Mike (returning from knee surgery), Terry & Lyle who placed 2nd to 4th respectively. 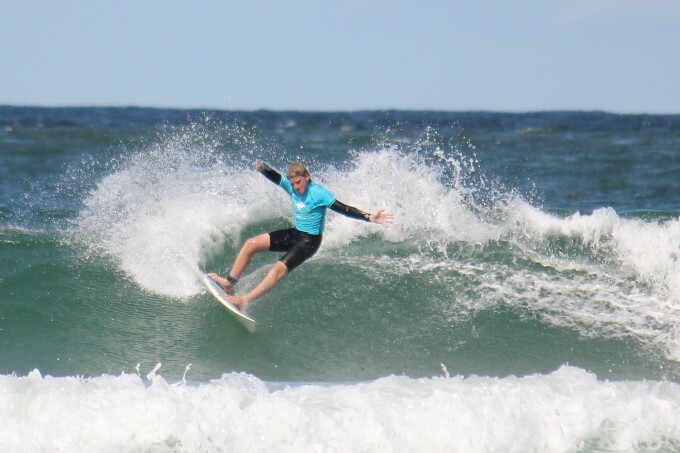 The Junior finalists were up next & refreshed after watching the Opens, Women’s and Masters all compete, put on a great show in the challenging low tide conditions. 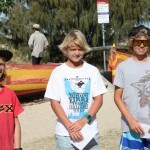 Max dominated the final with a strong display of speed, power & flow, completing turns in the critical sections to take the win from Nathan, Blaine & Ashlee (2nd to 4th respectively) who could not find the waves that connected all the way through to the centre of the beach as Max did. 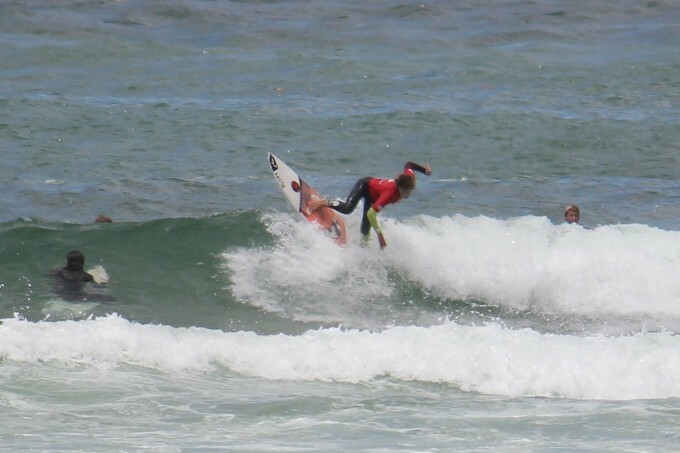 The grom finalists then took their turn to show the bigger kids they too could rip the small waves apart. 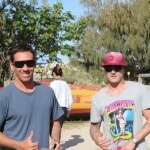 Jai once again took out the win with some very stylish turns and carves, with Blair again the runner up, in another close one. 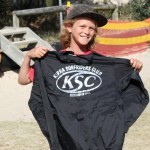 New member Seth showed he will be a strong challenger in future rounds with some very nice surfing to take 3rd, followed by Blake in 4th, who also put some nice turns together. Well done boys. 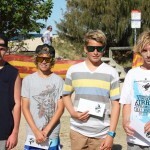 The Cadet finalist then took to the onshore surf in the last heat of the day with Nathan picking up the best set waves to blast apart with his power surfing to take his first finals win of the year, in a close one from Max followed by Jai in 3rd, who backed up straight from the Grom final and Blaine in 4th. 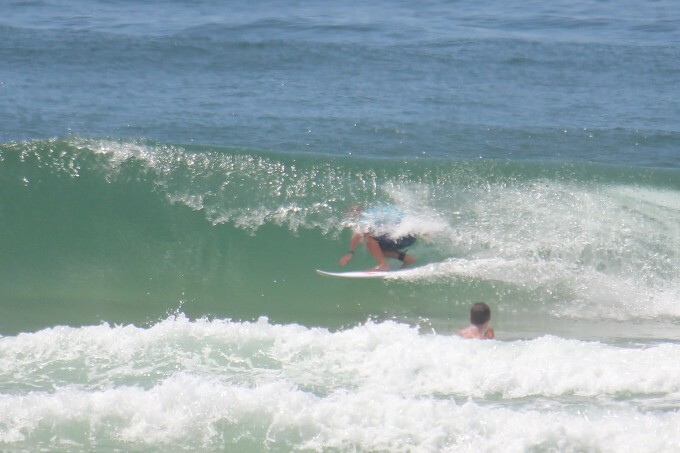 best barrel of the round went to Blair who tucked into a nice little peeler during the early rounds of the cadets, to be completely obscured by the curtain and then emerge to lay down a nice cutback all captured by the camera. Well done Blair. 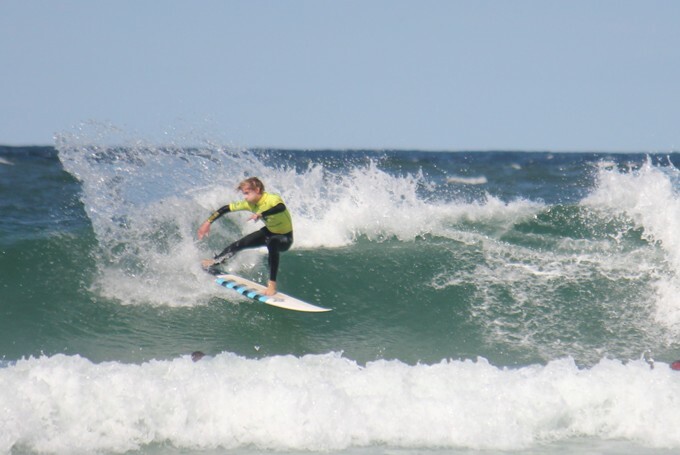 Most promising surfer of the round went to 12 year old Seth Johnson who displayed a talent beyond his years to excite the crowd with some stylish hacks in the Grom and Cadet rounds. 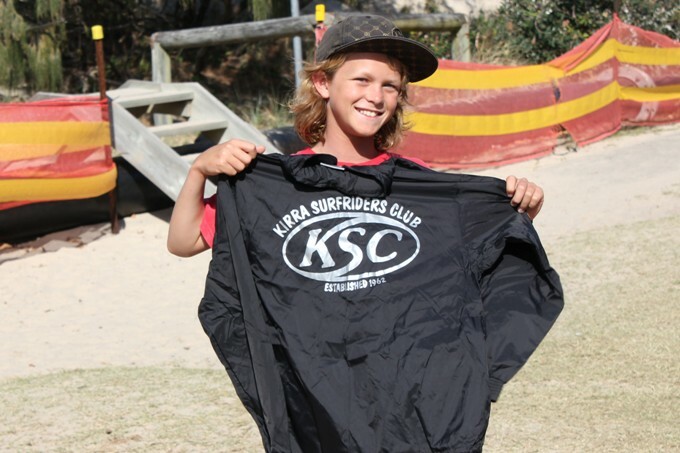 Seth took home a Volcom gift voucher as well as a Kirra Surfriders Spray Jacket for his efforts, so a great result for his first club round. Well done Seth. 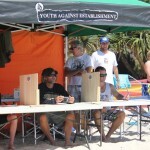 Thanks again to Volcom for the gift vouchers & other prizes which were shared across the surfers in each division. 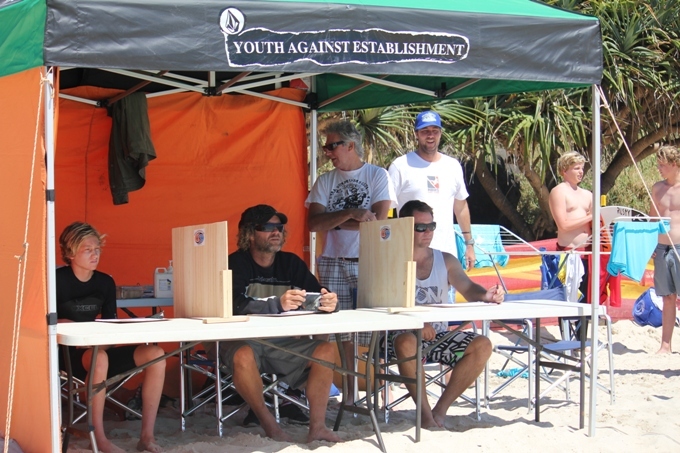 Also thanks to all the parents and kids who judged across the day and Jenny and the crew for preparing and cooking the BBQ to feed the hungry surfers & judges. Next Club Round Sunday 18th November 2012. 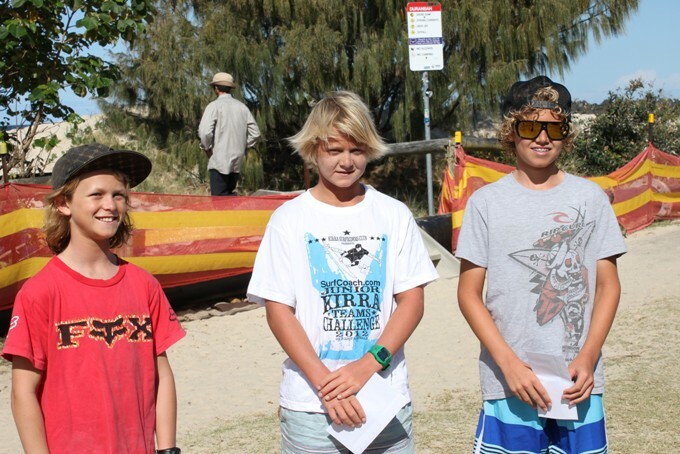 Meet at D’bah hill from 6.30am for a 7.30am start for the Groms, Cadet & Junior divisions with Opens & Masters to be signed on before a 10am start.